oneK - Eng - ONE K Global Campaign, unfolding bigger along with culture and art. ONE K Global Campaign, unfolding bigger along with culture and art. ▲ The Action for Korea Unified, Korea Fine Art Association and the Music Association of Korea had the MOU singing ceremony for the ONE K Global Campaign art and culture project at the Peace Center, Mapo-gu on September 18. (from the left) Seo Bong-han, the standing president of the Gwangju Head Office of the Action for Korea Unified, Seo Jong-hwan/Seo In-tak, the co-standing presents of the Action for Korea Unified, Lee Bum-hun, the president of the Korea Fine Art Association and Lee Chul-gu, the president of the Music association of Korea, took a commemorative photograph with the MOU. 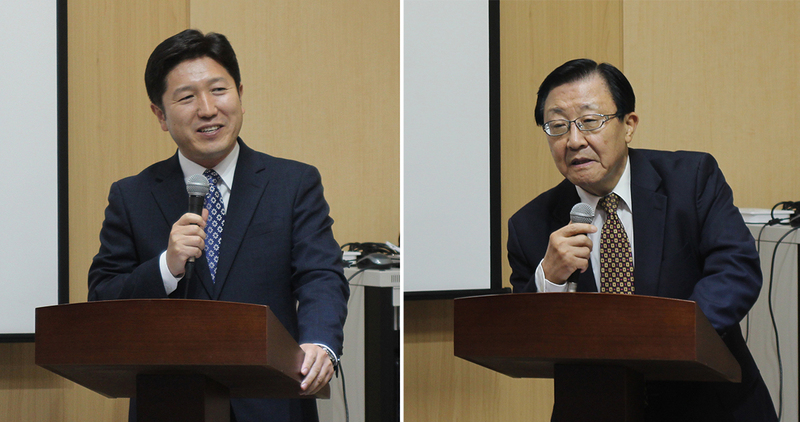 ▲ Seo In-tak (left)/Seo Jong-hwan, the co-standing presidents of the Action for Korea Unified, gave a brief speech. 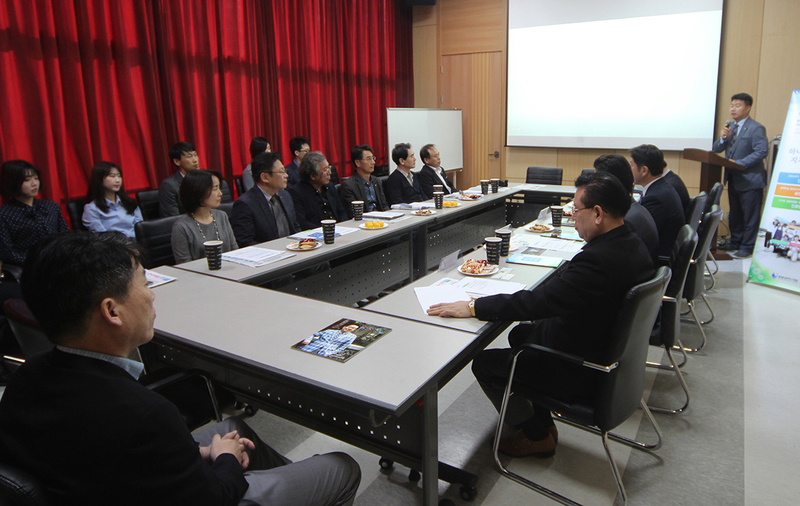 ▲ Park Jong-chun, the director general of the Action for Korea Unified, presided over the MOU signing ceremony participated in by 20 executives and employees of each organization. 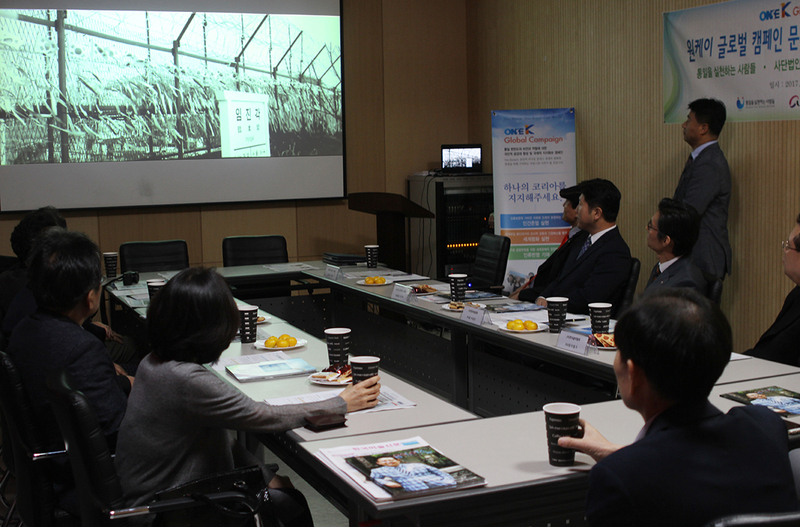 ▲ Participants watched the music video of ‘Korean Dream’, the ONE K Global Campaign song. ▲ Participants took a group photo after the ceremony ended. The ONE K Campaign that has been conducted via music is going to be expanded to a larger art and culture project by combining with fine arts and music (classic). The Action for Korea Unified (AKU) that has been organizing the ONE K Global Campaign had a MOU signing ceremony with the Korea Fine Art Association and the Music Association of Korea at the Peace Center, Mapo-gu, Seoul on September 18, and agreed to promote the joint project for the spread of the culture movement for unification. Accordingly, the AKU, the solidarity of about 800 civic groups, will cooperate with these two representative art associations to promote the culture and art project as a part of the ONE K Global Campaign that wishes for unification on the Korean Peninsula and world peace on the occasion of the 100th anniversary of the March First Independence Movement in 2019. Via a brief speech at the ceremony, co-standing president Seo Jong-hwan of AKU, who is also the current president of the Culture & Information Society (the meeting of retired public officials of relevant ministries constituting the current Ministry of Culture, Sports and Tourism, whose former titles were Press Office, Ministry of Information and Ministry of Culture and Information) and was working for the Permanent Mission of the Republic of Korea to the UN and Ministry of Culture, Sports and Tourism, expressed his opinion on the nation’s desire and the role of culture and art in terms of the history of the national division. President Seo, a veteran of the Vietnam War, pointed out, “There should have been a world-class culture and art piece containing a national aspiration for unification in a country with the 100-year history of the national division, but we do not have anything like that as we are living by seeking for realistic convenience.” “Let’s create the works of culture and art containing our aspiration to appeal to the world”, he emphasized.